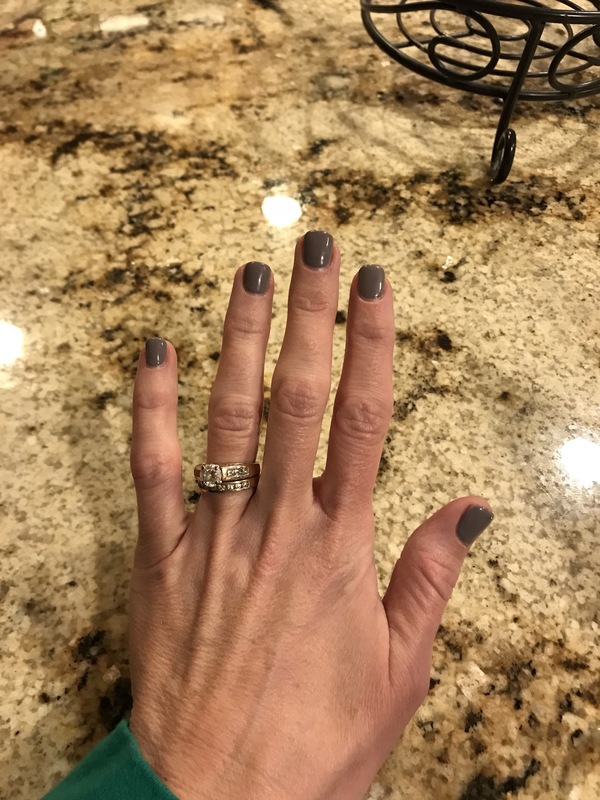 I had visions of putting this post together on Monday, the day after we got back from a much needed girl’s weekend, however, jet-lag is real my friends! I’m just now KIND OF getting back into the groove of things but then again, lets be honest mommin’ ain’t easy and I rarely feel like I’m on top of my game. Ha! This past weekend, I took a 4 day trip with a couple of my best friends from high school to Palm Springs, CA. This trip was YEARS in the making and we were so glad to finally be boarding our plane last Thursday evening with visions of late mornings drinking HOT coffee, uninterrupted dinners and endless time to catch up on ALL THE THINGS. When we were contemplating where to go for this vacation, we had certain criteria that we wanted to fulfill. We wanted warmth, relaxation, the ability to do some outdoor exercise, shops and affordable to get to within the US. Even though the weather was 10 degrees colder than average, coming from MN we were more than happy to take in that 50 degree weather the locals were referring to as their “Polar Vortex”. I’ll show them Polar Vortex, just hop on a flight to Minneapolis and then your 50 degrees won’t look so bad!! HaHa! When we got into the airport on Thursday night, we were all pleasantly surprised to see how small and easy to navigate the airport was. We rented a Mustang convertible, #weresofancy, and drove less than 10 minutes to get to our hotel. Seriously, how awesome is that!! We stayed at the Kimpton Rowan, which was absolutely stunning. I already had a love for this boutique hotel brand going into our stay. They’re known for their excellent hospitality and their attention to detail in all areas from the common spaces to the individual rooms. I love that they always have robes for you to use and this particular hotel had delicious orange infused water in the lobby. After we settled into our room for a bit, we went to dinner at Las Casuelas right in downtown Palm Springs. It was less than a 5 minute walk from our hotel. Even though it was Valentine’s Day they were able to find us a seat on their outdoor patio. Apparently, those locals just can’t hang in the cooler temps. 😉 They had outdoor heaters and we managed just fine! No pics of my dinner, #sorrytoohungry #storyofmylife. If you ever find yourself in Palm Springs, the Enchiladas Suizas are to die for! We woke up Friday morning ready to tackle the day. We got dressed for the day and figured we’d head down to the lobby and grab a cup of coffee. We were surprised when the concierge informed us that it was only 6:30am, oops, and they weren’t quite serving coffee yet. Fortunately for us, we were right next to a Starbucks! #givemeyourcoffee We also got coffee and a pastry at Koffi before setting out for the day. I love trying new coffee places, especially ones that are local. This little place was really nice because there was a courtyard in the back of the coffee shop when you could sit and enjoy your beverages. In the days leading up to our arrival, Palm Springs had experienced significant flooding and the National Parks and many surrounding trails were closed. As we meandered around the city, we found a trail and took a hike up the mountain. It was so beautiful! By the time we finished our hike it was late afternoon and we were STARVING!! At the recommendation of our concierge, we hit up the Kaiser Grill and it was so good! We were still so full by dinnertime that we ended up just having desert. We ended up stumbling upon an amazing toffee shop called Brandini. The toffee was out of this world and was actually founded by two really good friends who have a knack for making amazing toffee. When they were in high school and trying to fundraise money for a school trip, their sales were such a huge success they ended up opening their own shop…and we’re super glad they did. YUMM!! You only get a pic of the case, haha, because we devoured (and split) the toffee ice cream sundae! This time, we started our day off with Coffee Bean coffee. I got a mocha, parting with my routine medium roast with a splash of cream, and it was excellent! We had plans to hit up Joshua Tree National Park, so before we headed out for the day we had breakfast at one of the Rowan’s restuarants called Juniper Table . I got the Chilaqiles and I’ve never had any better than the ones I had at this restaurant. After we got home we were exhausted from a long day but pulled it together to head out for a nice dinner that evening. Well, we hadn’t planned on all of the resturants being filled due to Modernism week but as luck would have it we ended up at an amazing Italian restaurant. I had a super delish lobster pasta dish that was so good…I’m only sorry that at this point I can’t remember the name of the restaurant. One of the locals had told us Palm Desert was a MUST SEE while we were in Palm Springs so we figured since we were so close we’d check it out. Honestly, we didn’t love Palm Desert. It was much more commercialized and a lot like home, minus the freezing temps with the added beauty of palm trees. We ate lunch, shopped a bit and then headed back to our hotel. Each of us ladies wanted to bring our kiddos back a little something from the trip so we ended up stopping at Balboa Candy Store. Balboa was such a cute, old-time candy store and the kids very much loved the little treats I brought back for them. Us girls had the time of our lives on the trip. As childhood friends, this trip was probably the longest period of time we had ever gotten the chance to spend together in our adult lives and I think it meant the world to each of us to have this time. We hope to make this a recurrent event and heaven knows I love to get travel plans on the books so I’m betting we can make it happen again! I’d love to hear from anyone else that’s been to Palm Springs, what did we miss?! And where should we go on our next trip?? P.S. We were gone over Valentine’s Day, when I got home at 2am on Monday morning this was waiting for me on the counter. Gotta say, it was good to be back home! It would be really hard for me to say what my Favorite Reads are because I’ve read a ton of books over the years and sadly my memory is not that great. HA! That being said, here are a few that come to mind when I think of my FAVORITE reads. A few years ago, I was introduced to the Winter Street series by Elin Hilderbrand. I love reading this series around Christmas time. Most of Elin’s books take place in New England and I LOVE that about her books. New England is one of my favorite places in the US to visit. I’ve read the entire 4 book series and would totally recommend them as light, easy reads! Another book that I REALLY LOVED was “A Thousand Splendid Suns” by Khaled Hosseini. I had to have read this book more than 10 years ago and I’ve always held on to it because I remember thinking the entire time I was reading it what a fantastic book it is. The story takes place in Afghanistan during war times, it’s a tale of hardship, friendship, peril and so much more. I would recommend this book! I read “Summer at Tiffany: A Memoir” by Marjorie Hart this past summer and LOVED this book too! Of course, as many of my favorite books do, this one takes place on the East Coast. In this book, Marjorie recounts the summer of her Junior year in college and how she and her friend took off for New York to work at Tiffany & Co. I just love this book because I felt like I had a chance to live vicariously through Marjorie and imagine what would it would be like to go to an unknown city without a real plan and end up spending the summer working at a world renowned jeweler in the 1940’s. Such a cool story! I’m currently listening to “Rising Strong” by Brene Brown on CD, which I borrowed from the library. I love to read personal development books or listen to podcasts. I’m really excited to finish this one! Here’s a quote I pulled from the book. Rachel Hollis’s “Girl Wash Your Face” is also an absolute favorite of mind. It’s so inspirational and uplifting. Which reminds me…I need to pre-order her book “Girl Stop Apologizing”! Anyone else love her and have you pre-ordered the next book?! Thank you for stopping by my blog today are reading about my Favorite Reads!! I would love to hear what some of yours are too, comment below with what your favorite books are! Happy Wednesday! It’s Friday and I’m back with A Little Bit of Everything, Grace and Love and Momfessionals to share some of my FAVORITE things this Friday! First, can I just say…someone pinch me! I cannot believe it’s December 14th already. I’ve been busy making my list and checking it twice this holiday season and we’ve definitely been enjoying ourselves with holiday celebrations! What are some of your favorite holiday traditions or things you look forward to most each year? This Tree Dazzler! Have you ever heard of such a thing? I hadn’t until a few weeks ago when I was on a girls weekend and a couple of my girlfriends mentioned their Tree Dazzler. Basically, it’s a halo (fitting for the season) with 8 different strands of lights hanging from it. You place the halo on the top of your tree and drape the strings of lights down the branches. My husband and I really enjoy the beauty of all white Christmas lights on the tree but the kids enjoy multi-colored lights. The Tree Dazzler allows you to choose from 16 different light settings, which is so fun for the kids and changes things up depending on how you want the tree to look! I found mine at our local Ace Hardware but you can get them on Amazon too! Here’s our tree, along with the Dazzler, in all her glory! I’ve always loved The Grinch movie and awhile ago I had found a bunch of Grinch themed goodies and beverages on Pinterest to go with our movie night. These Grinch cookies were a hit and have become an annual delicacy at our house! They are SUPER easy to make and delicious. This year, the kids and I even packaged them up and delivered them to the school bus drivers. Camryn had her first holiday show for dance class. 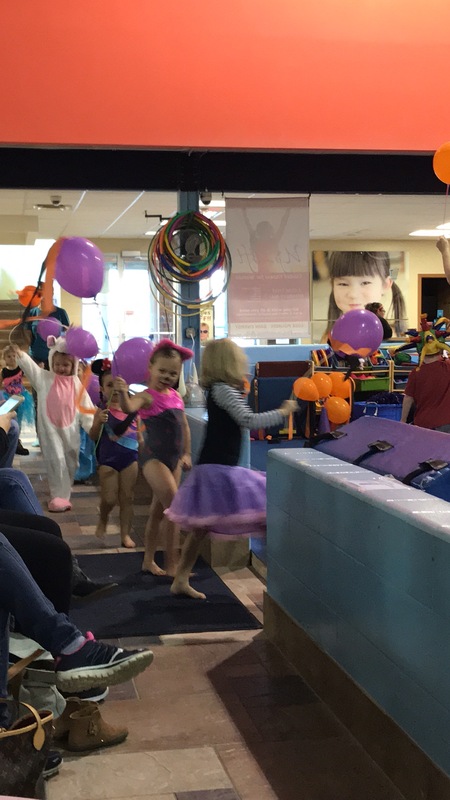 These tots were just so adorable dancing to their favorite holiday songs. It was definitely fun to see Camryn bop around to the music and get into the performance. I am OBSESSED with these Kate Spade stud earrings that are currently on sale at Nordstrom, they have such a variety of stones to choose from and in my opinion they’re the perfect little accessory. We’re gifting a couple of the kid’s teachers with these little gems this year! And lastly, these two little loves have spent a lot of time reading together this week. We have a large collection of Christmas books that the kids have been enjoying this season and I’m glad to see them spending time together reading them! I’m linking up with Erika and Shay today and sharing How We Do Lunches! This is a great linkup because I’m sure we could all use some new lunch ideas! It’s that time of year again and back to school means it’s time to starting making sure we have all the supplies to start the year off right. Up until this year, we only had one school aged kiddo and we used a Yumbox to package his lunch in. I LOVE these compartmentalized lunchboxes because they keep everything together, mostly leak proof and are just the right portion sizes. They also fit perfectly into Pottery Barn’s Cold Pack Lunchbox, however, that’s the ONLY thing that will fit in there! This post is reminding me that I need to order one up for Laney too! I’m thinking I may get another 2-3 Yumboxes, so we can have them in rotation. So, what do I put in their lunch you ask?! I always to try to pack a main “entrée”, vegetable, fruit and then a carb or treat of some sort. Here’s a list of some of the things we’ve tried. Carrots/broccoli/cauliflower One of my kiddos NEVER eats the veggie I put in their lunch box, any suggestions to sneak something healthy in there that they’ll eat?! Sometimes we’ll have leftovers that the kid’s really enjoy and I’ll want to send something warm in their lunchboxes. In these instances, we use Kid’s Thermos. I generally fill the Thermos with hot/boiling water and let it sit for awhile to “prime” the Thermos before I put the food in. I prepare the lunch to be heated the night before so I’m not monkeying around with that in the morning and it’s ready to go when I am. I heat the food to be served extra hot, in hopes that it’s warm buy lunch time. Then, I empty the hot water out of the Thermos and add the food. Wala! Anyone else ever try this? Would love some more suggestions! Lastly, I pack my lunches in these glass containers I found on Amazon. I like them because I can store foods that need to be heated in them and they also have a compartment in the lid for utensils! When it comes to getting ready for school, packing lunches is one of my LEAST favorite things to do. Now, if I packed the same thing for each kid each day it would be a breeze but I try to give their lunches some variety. Sometimes, at the end of the day the last thing I want to think about it what to put in the lunch box. So, I’m looking forward to checking out what others have to say on this matter! Also, if you’ve ever heard me talk about Take Back the Kitchen (a weekly meal planning service developed by a registered dietician) then you may be interested in Take Back the Lunchbox! It’s a new service that is going to be launching soon where clients will get a weekly list of lunchbox ideas, I’m super excited about the launch! If you’re interested in learning more reach out or comment below! It’s Friday and I’m back with my favorites! Today, I’m linking up with Erika, Narci and Andrea and all I can say is, TGIF!! 1. First up, Halloween! I have a love/hate relationship with this holiday. As an adult, I don’t really get into coming up with a costume (mostly because I’m just not that creative to think of anything good) and I don’t like to waste the time and money thinking about it. I do, however, love to help the kids choose their costumes. I don’t love when they decide, after I’ve already bought said costume, that they want to be something else. #FTL! 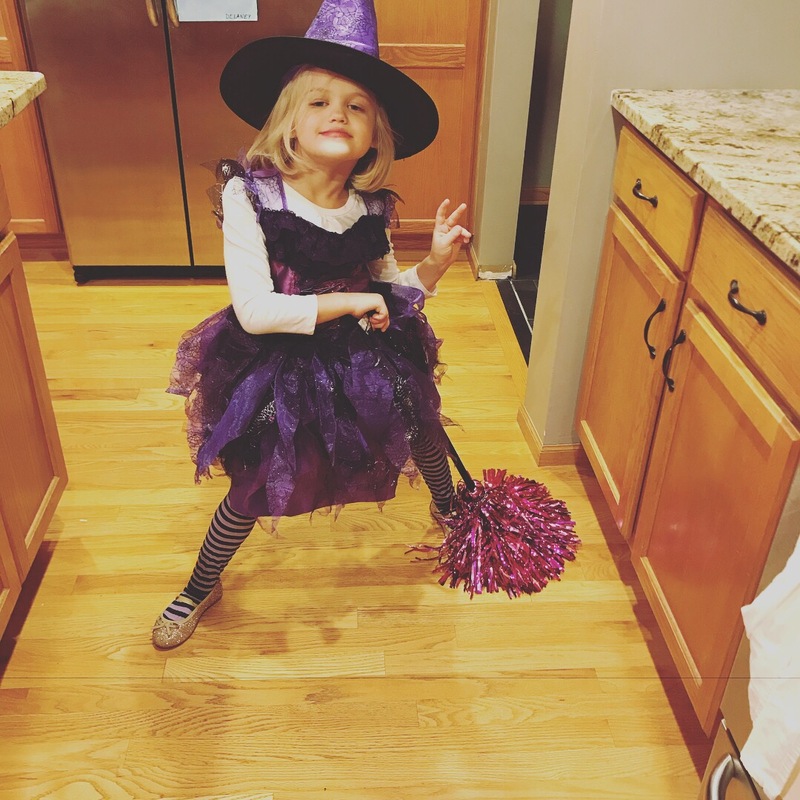 I typically stay home and pass out candy, I love seeing all of the kids and the costumes they’ve come up with. I don’t love when the doorbell is still ringing after our kid’s have gone to bed. #shhhdontwakethebaby I love walking up to doors with our own kids and hearing them say “trick or treat” in their sweet little voices, I don’t love all the candy they haul home. 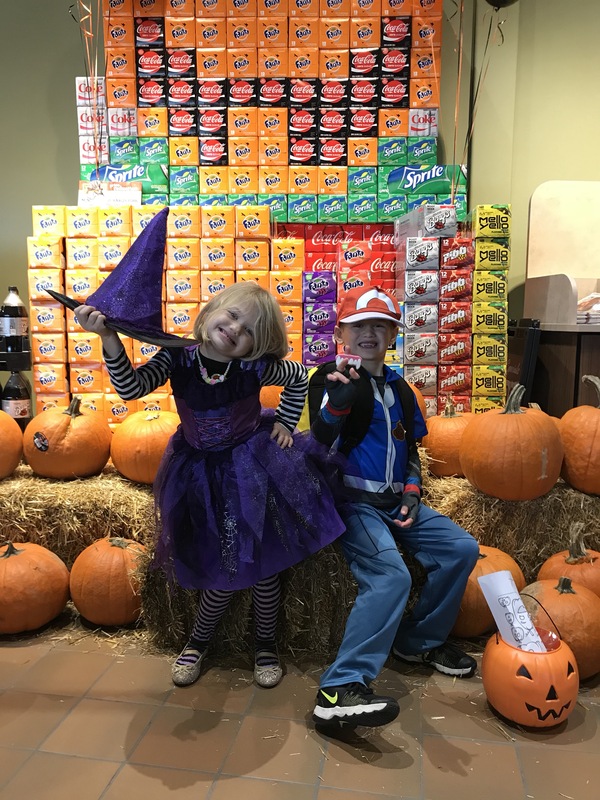 #sugarfordays It’s kind of become a tradition that my brother, his wife (Missy) and my niece Skylar come over on Halloween for dinner and trick or treating. Skylar is just 7 months old so she hung back with Cami, while my brother went with Jared, Parker and Laney. Overall, we had a great night. See you next year Halloween! All 3 of our munchkins and my niece Skylar the cupcake. I’m not sure she knows what to do with all the commotion at our house! The outtake. 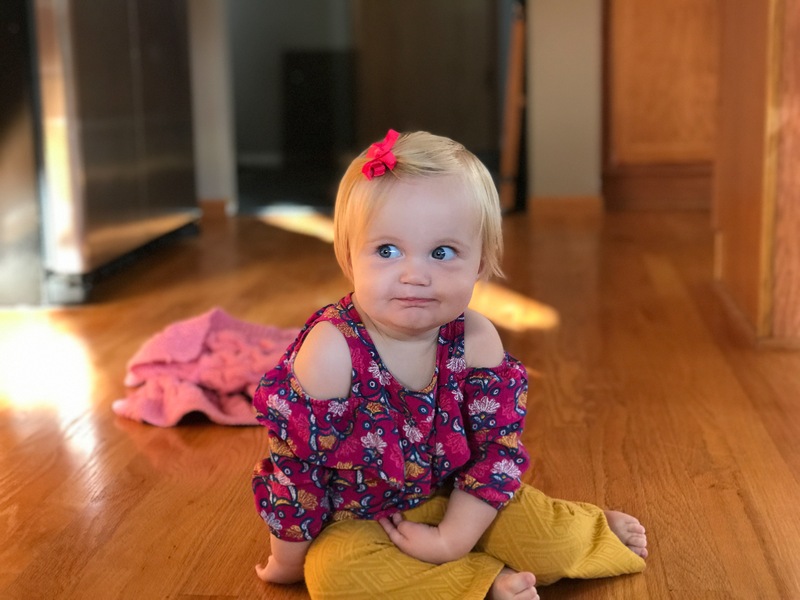 This pic was taken just after Jared had taken Cami’s bottle away from her before the picture was taken. Camryn “give me back my bottle Daddy!”. Parker “Dad, are you sure this is a good idea?”. Laney “Give her the dang bottle already Dad.” Hahaha! Thanks for catching this pic Uncle Tyler! All of the kid’s in their jammies after trick or treating! Camryn checking out the empty candy bucket the next morning, haha! I stopped into Nordstrom’s last week to get a new mascara, while there I asked the salesperson if there was anything she would recommend for dry, chapped lips. My skin gets sooo dry and my lips get so chapped when the weather starts to cool down. It’s really bad and lasts all winter long. I’ve tried all different kinds of lip balms and try to stay hydrated but nothing seems to work. Well, the salesperson recommended this Dry Skin Saver , for the face, body and lips. Downside is, it only comes in this large bottle so you’ve got to put it in a smaller container to take it on the go. So far, I feel like it’s really helped to keep my lips moisturized. Anyone else have anything they swear by to remedy dry, cracked lips? I finished this book while we were on our trip to Chicago a couple of weeks ago. I’m really not great about “reviewing” books, all I can say is I really enjoyed it. 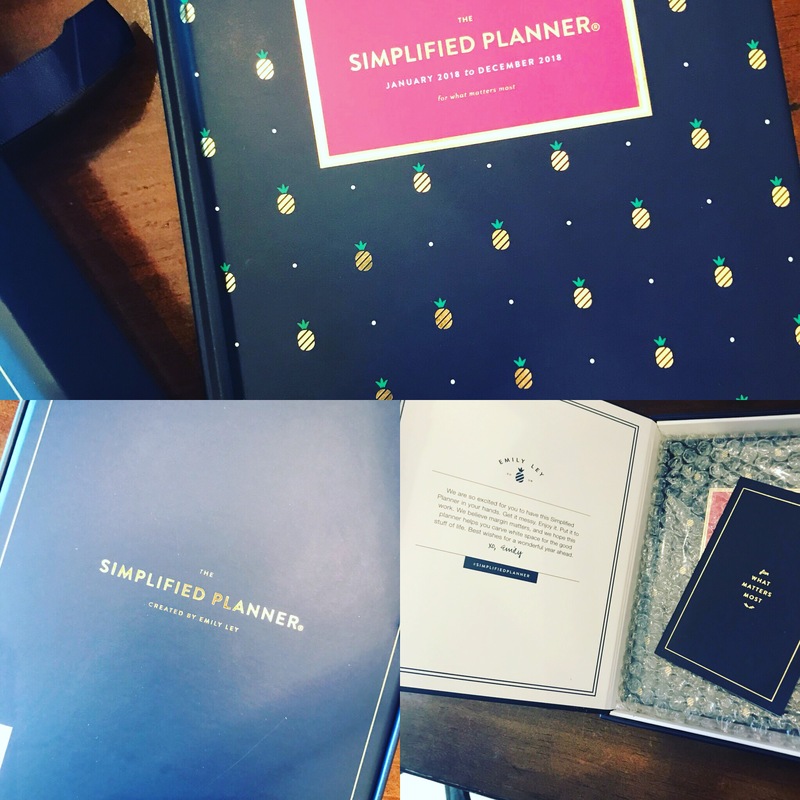 The author, Emily Ley, designs daily planners so the aesthetics and design of the book are beautiful and eye catching. The book itself offers words of encouragement to us mamas who are in the trenches of motherhood and trying to fake it till we make it! I escaped the house last Sunday for pedis with one of my besties. Getting away with my girlfriends, especially this one, is definitely one of my favorite things. We were chatting too much and I forgot to take a pic but here’s a pic of my perfectly polished nails. Woot! Thanks so much for stopping by today! I hope you all have a great weekend spending time with friends and family! Wish me luck this weekend, I’ll be flying solo while Jared’s off hunting deer with my dad and brother. I blinked and now it’s Monday. Anyone else feel that way?! 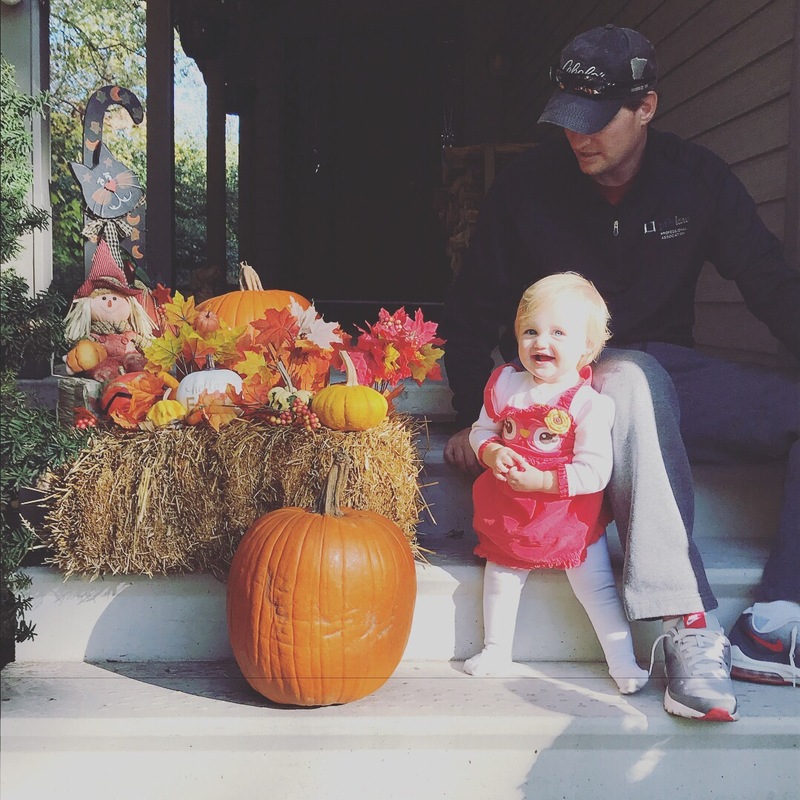 I hope you all had a great weekend, ours was filled with A LOT of Halloween and baby celebrations! On Friday night, we headed up to Parker’s school for the Fall Festival. 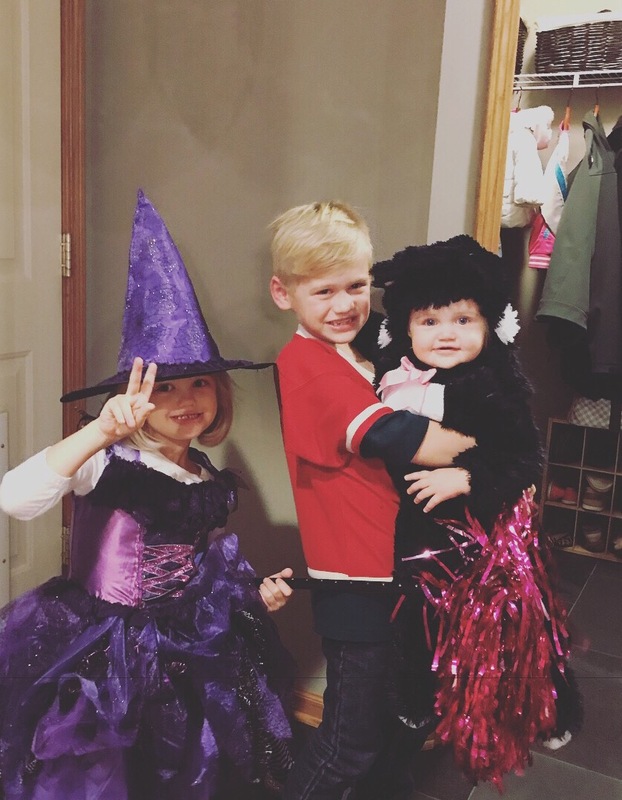 The kids dressed up in their costumes. 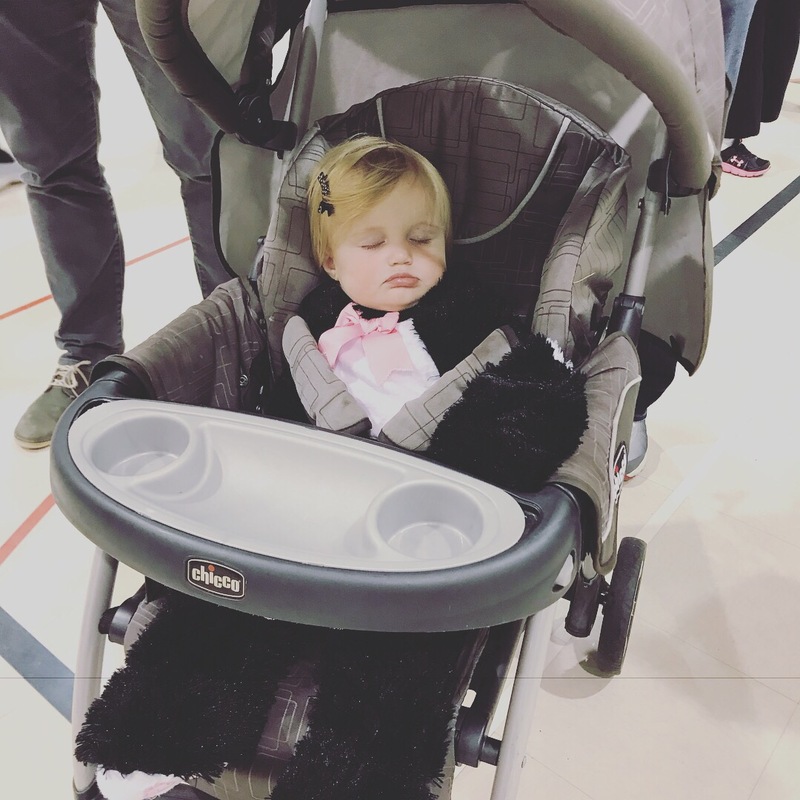 Camryn was a kitty and ended up falling asleep in the stroller as the DJ blared Halloween tunes! Laney dressed up as a (good) witch and Parker threw on a Wild jersey and called himself a hockey player. He has an Ash costume from the show Pokémon but he was afraid to wear it because he thought other kids would make fun of him. Jared and I both encouraged him to wear it because he LOVES Pokémon and also because we want him to know that it doesn’t matter what other people think (as long as he’s being kind and following the rules). I pray that our kids have the confidence to be who they are, even if it’s not the “cool” thing. Ultimately, we let him make the choice though…no big deal! 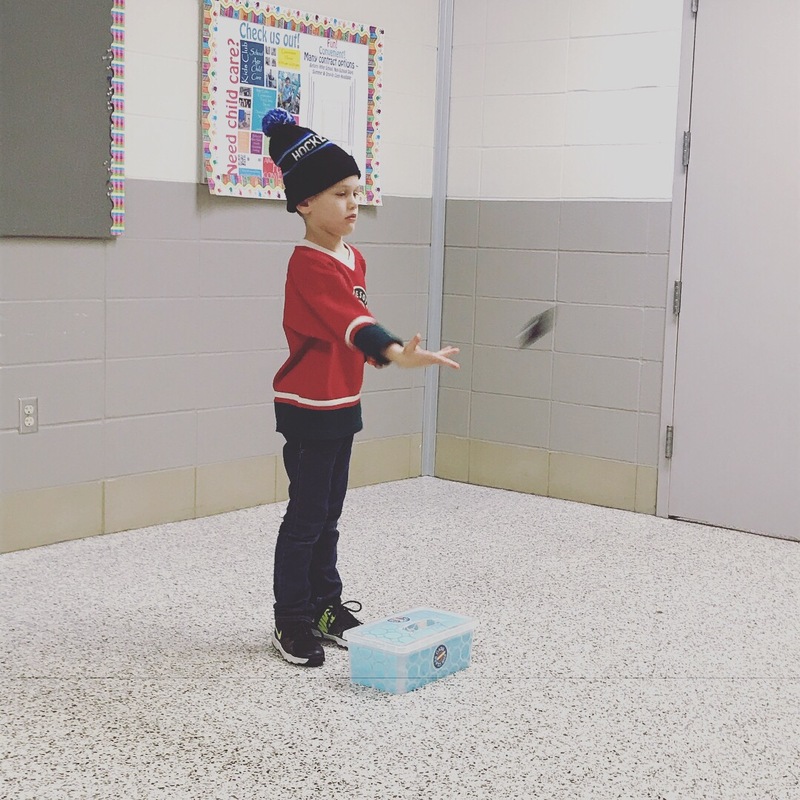 While we were at the festival, we saw another Ash…this Ash is in 3rd grade so I’m thinking that since the 3rd grader thought it was cool enough Parker will soon be wearing his Ash costume too! 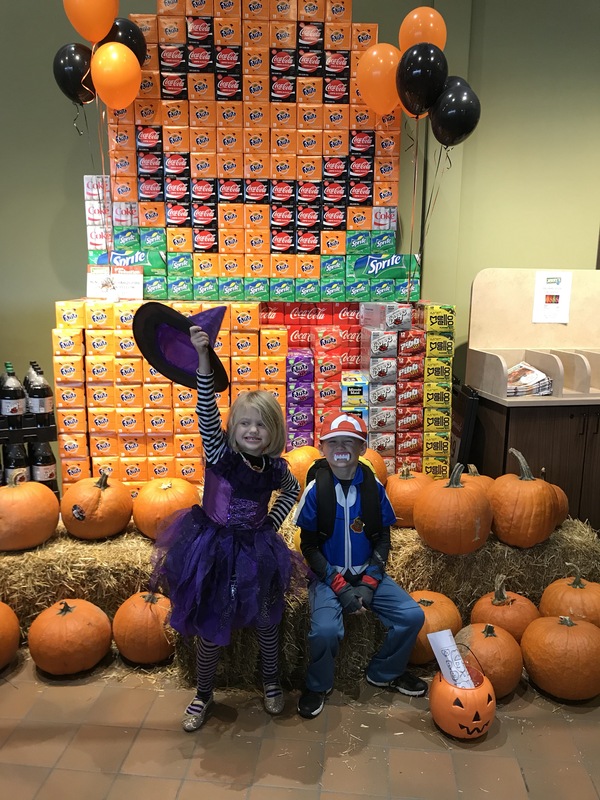 On Saturday morning, I took Parker and Laney to a little Halloween bash at our local grocery store. 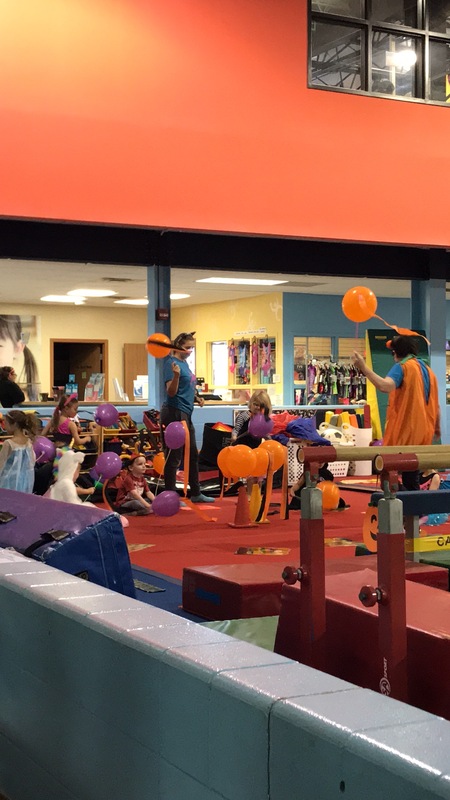 They enjoyed throwing their costumes on again and obviously they were super happy to be filling their candy buckets! Later Saturday afternoon we headed over to my friend Tonya’s house. Tonya is one of my good friends from high school. She and her family just build a beautiful house, which is a good thing they have all that extra space because they’ll be welcoming their 4th and 5th babies in a couple of months. They already have 3 kids (one set of twins) and come December they will have 5 kids 4 and under. I mean, she is the epitome of super mom! 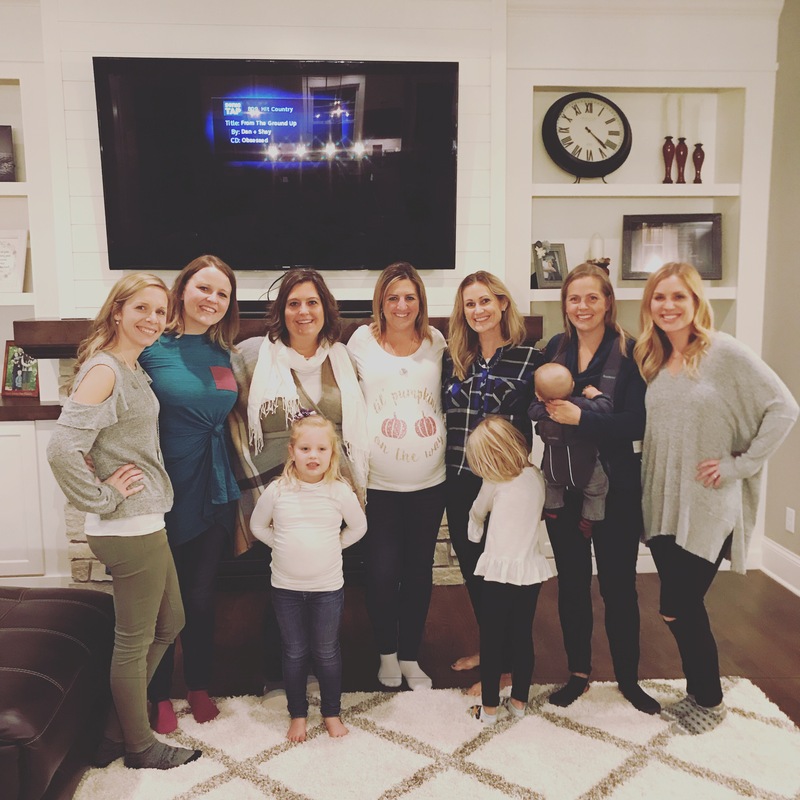 Tonya’s parents threw her and her sister, who is also expecting, a Little Pumpkin baby shower and we had so much fun showering them with love! We can’t wait to meet their newest little bundles. Here’s a picture of some of my high school girlfriends that were also able to attend. On Sunday night, we went over to my friend Alek’s house to bring her and her sweet family dinner. They just had a new baby girl at the beginning of September. She is such a sweetie! 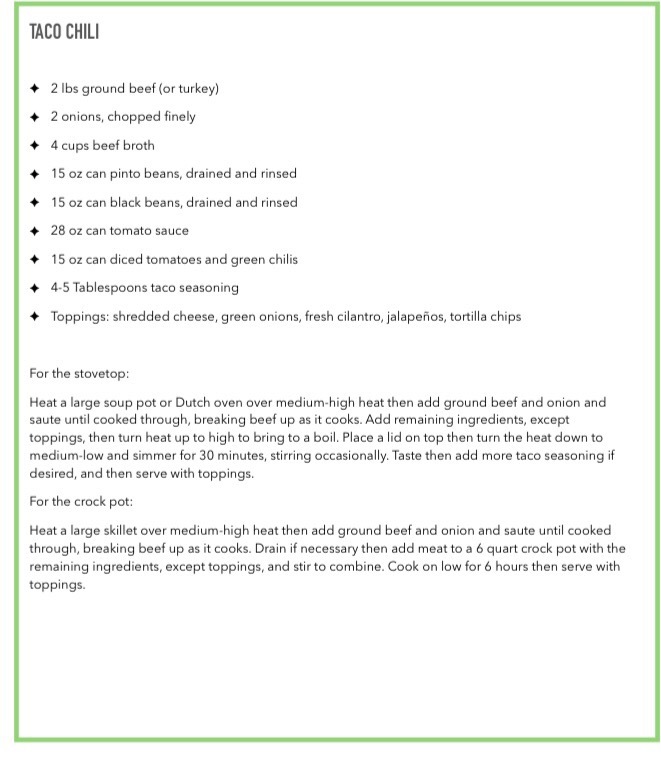 I brought them one of my favorite chili recipes from Take Back the Kitchen and it was a hit! Have a great week and a very Happy Halloween everyone!! 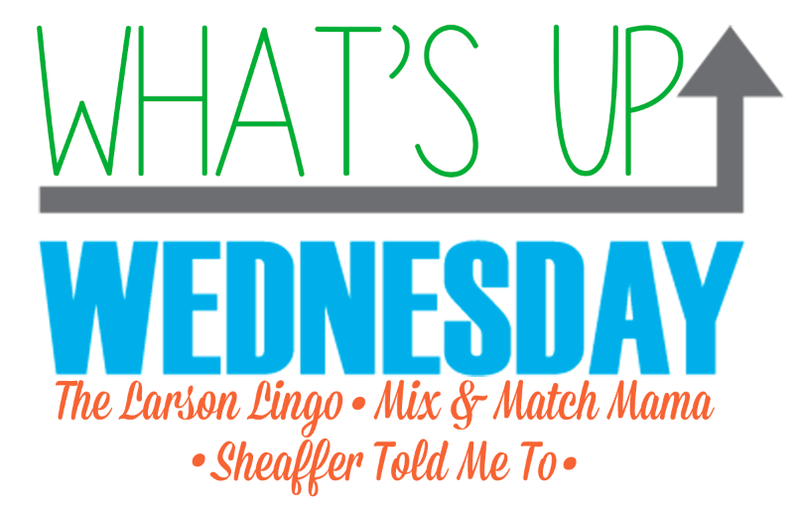 It’s the last Wednesday of the month, how did that happen?, so that means I linking up with Sheaffer Told Me To, The Larson Lingo and Mix & Match Mama for their monthly link up. I was looking back at my September What’s Up Wednesday and noticed I was asking myself the same question then as to how the end of the month had come so quickly. I really can’t believe how quickly time flies! Without further ado, here are the questions I’m answering this, and every, Wednesday! 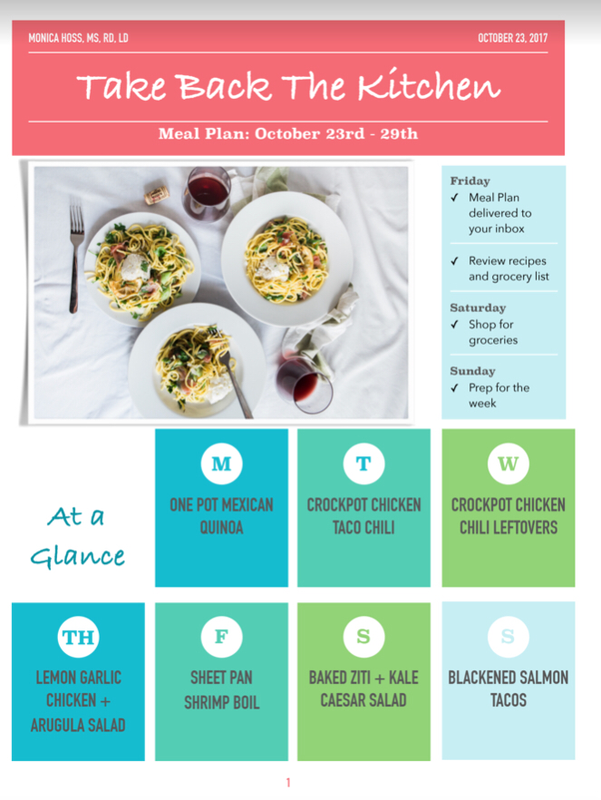 We’re continuing to use Take Back the Kitchen for our meal planning menus in our household. Having someone else plan my menu and make my grocery list allows me a little extra time during the week to “find my mojo”! Typically, we choose just a couple of the meals from each menu because we often have leftovers…here’s our menu this week ! Often times when I’m home with just Camryn and Laney while Parker is at school, I catch myself thinking about how different things were back when I was home with Parker and Laney when they were little. Parker and Laney are a little under two years apart so they were both still taking naps and we spent many of our days at home back a few years ago. Camryn and Laney are 4 years apart so instead of relaxing days at home, our days are filled with activities like gymnastics and dance. Camryn is on the move and all over the place so instead of sitting back, relaxing and watching said activities… I’m chasing her everywhere! I wouldn’t trade it for anything but it sure does keep me busy and it’s a whole different ball game being home with kids with a larger age gap! 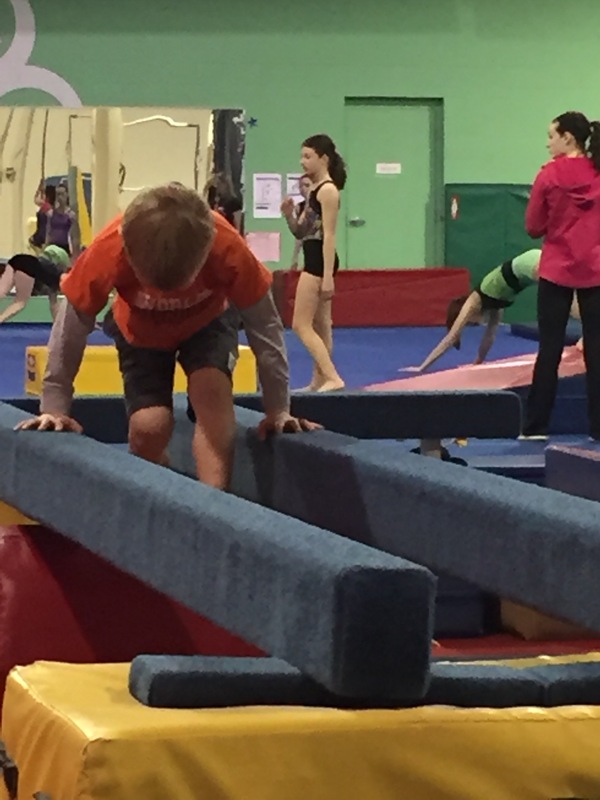 Here’s a few pics of Laney at gymnastics now and Parker and Laney at gymnastics when they were 2 and 4 years old! I was loving the beautiful fall weather…last week it was in the 60s and 70s. The sun was shining, the leaves were turning, the temps were perfect for enjoying the outdoors. Flash forward to this week, it is CHILLY! 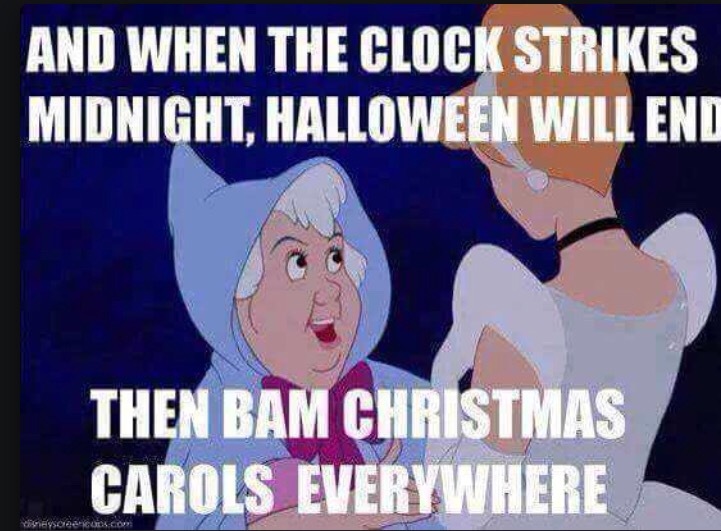 We had a wind advisory here yesterday because it’s SO WINDY but I’m still loving the change in seasons, especially since it means we’re headed to my most favorite season of all, CHRISTMAS!! We just enjoyed a 4 day weekend because the kids were off from school last Thursday and Friday, I posted about Jared and I’s weekend getaway to Chicago here. We had a great time. Parker just wrapped up his football season and is getting ready to start hockey here in a couple of weeks, let the ice time begin!! Not looking forward to a 7am ice time coming up next weekend, yikes!! 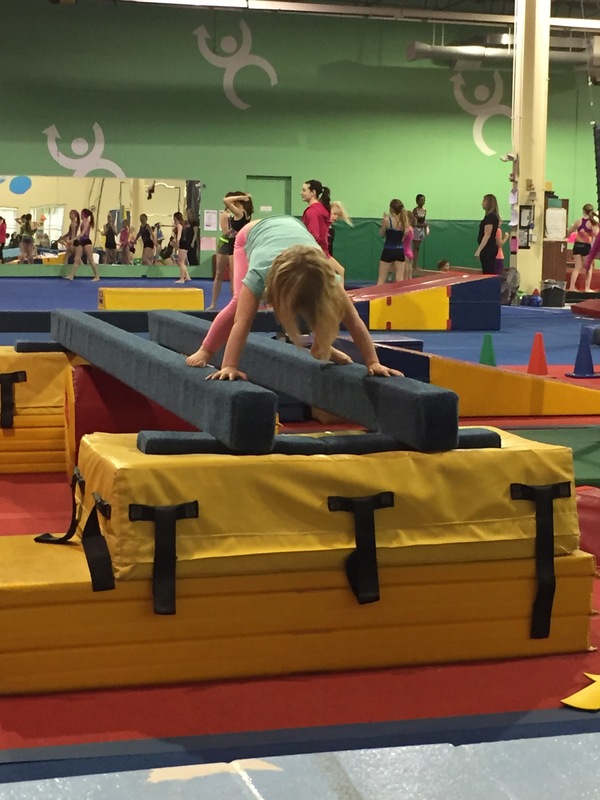 Laney and I have been busy going to dance and gymnastics on Tuesdays and Thursdays. Other than that, it’s business as usual around here. Last month, I mentioned I was dreading putting everything back into the laundry room, office, bathroom and coat closet that we remodeled. Happy to say that that job has been taken care of, it really wasn’t that bad, and now I just need to decorate those rooms! Can’t say that I’m dreading anything right now, other than that 7am ice time next weekend. Is this a trick question?! What am I not working on? I always feel like I’ve got a million balls up in the air…right now, I’ve got a few things on my to do list. I need to book Laney’s birthday party, she wants to have it at Skyzone and order her invitations. My family is celebrating Christmas early this year when we get together for Thanksgiving so I’m working on making my list and checking it twice! We’re doing a Disney land and sea that’s being planned courtesy of Erika and Mix and Match Mama Travel Agency. 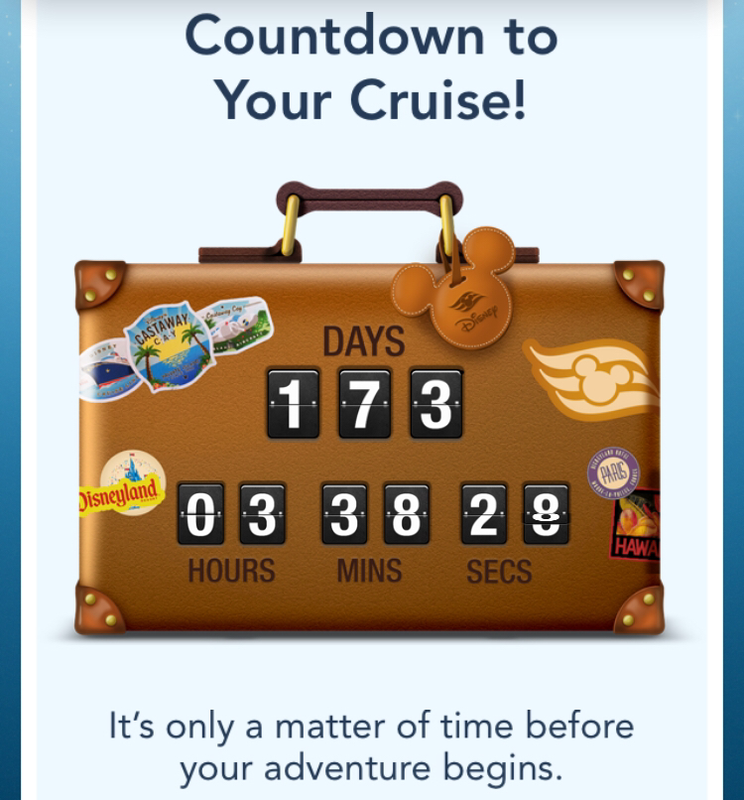 We’re now less than 6 months away from our trip and I’m SUPER EXCITED about that! 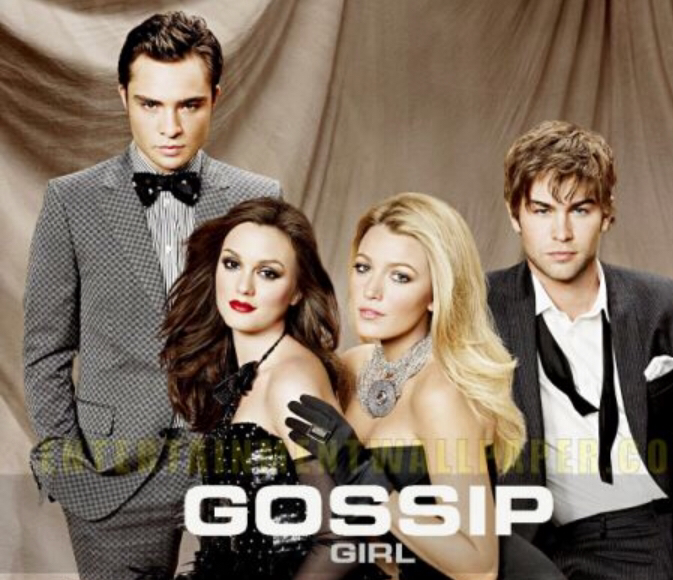 Still watching Gossip Girl over here and reading my current favorite book, “Grace Not Perfection” by Emily Ley. I listen to Pandora at home and often have it set to Wedding Songs radio, not sure how I ever found it but I love the mix of music on that station. Soon…I’ll be switching it up and playing Michael Buble Christmas! When I’m at work I spend a lot of time in my car driving from patient to patient, I’d like to start listening to some podcasts…any recommendations? I was just thinking today that whenever I wear jeans and a top during the day, I don’t feel like I’m in the proper attire to get things done when I’m at home. It’s fine if I’m headed out somewhere but when I’m at home, I feel like I belong in yoga clothes or something of that nature so I can run around the house cleaning, cooking, playing, ect… I still like to look put together when I’m wearing yoga or athletic clothes but I think I need an update! We have a fun weekend planned this weekend. On Friday night, there’s a fall festival at Parker’s school. The kids will get a chance to wear their costumes, play games, jump in bounce houses, get their faces painted and eat some carnival food. Should be a good time! Saturday afternoon we are going to a baby shower for one of my friends from high school who is due with babies #4 and #5. This is actually her 2nd set of twins!! I’m so excited to celebrate her and her sweet family:) On Sunday we’ll go to church and later in the afternoon we’ll head over my good friend Alek’s house to meet her new baby girl and bring them dinner. Next month we’ll be celebrating Laney’s 5th birthday, Thanksgiving, ThanksChristmas with my family, my sister Kaili will be coming into town and we’ll start decorating for the holidays. Bring on the fun!! 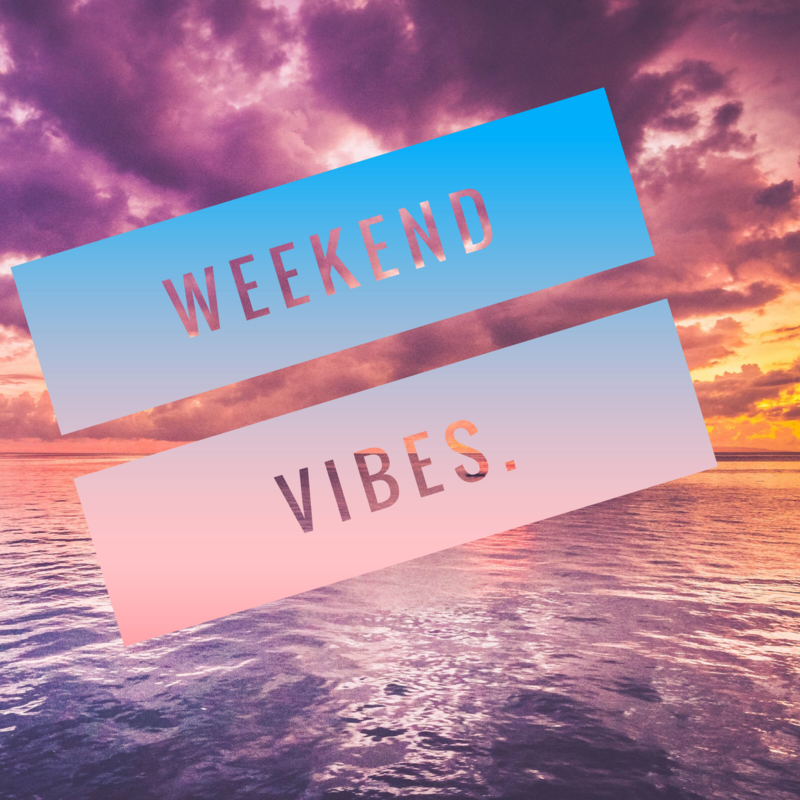 I don’t know about you but I LOVE a long weekend, especially once the school year starts because it’s a break from the normal routine for ALL of us! In Minnesota, we have what’s called MEA break in the fall. I’m not exactly sure what the acronym MEA stands for but truth be told I know what I need to know…MEA equals a 4 day weekend for me and that’s all that matters! 😉 Jared and I decided we wanted to do something over the short break but we wanted to keep it pretty low key since we have a big trip with the kids planned in the spring. Neither of our parents live near us so we decided we’d take the kids to his parent’s house in Wisconsin and then we’d make the short drive to Chicago for the rest of the weekend. I’ve been to Chicago many times before but most of those visits were in my youth, I think I can say that now that I’m 35 right?!? !, so typically we weren’t doing as much sightseeing as we were checking out the best places to go dancing! That being said, I haven’t done too many touristy thing in Chicago. Prior to our arrival, I made reservations at our hotel. I’m not sure why, but it was so hard for me to commit to which hotel we would stay at. When you don’t get away that often you want to be well taken care of! I was torn between spending a lot of money on a small boutique hotel because it was really pretty and had nice, soft robes and saving some cash and choosing a more economical option without sacrificing location and the comforts of a mid-range hotel The recommendations I was given were The Gray, The Athletic Club, The Langton, The Hard Rock Hotel and The Peninsula Hotel. We ended up choosing the least expensive of the options and went with the Hard Rock Hotel. We had a few friends that actually stayed at the property and they said that although it wasn’t anything fancy it was a prime location, service was good and the value was great. We decided since we wouldn’t be spending much time at all in the hotel then this would be the best option for this trip. If I were to go again on a girl’s trip, I’d definitely choose the The Gray or The Peninsula, they are gorgeous properties! The day we arrived, we dropped off our bags and walked to the Skydeck at Willis Tower, formerly Sears Tower. Chicago is a very walkable city and I feel like you get to experience and see so much more when you’re walking as opposed to driving, taking a cab, or riding a bus! Once you take an elevator to the top floor of the Willis Tower, you can step out onto what’s called The Ledge which is a glass box that hangs out over the edge of the building allowing you to see the space directly below you! So Fun! After we went up to the Skydeck we walked back along Michigan Avenue towards Navy Pier to meet one of my best friends at the W Hotel. I had a Champagne Mojito, I mean what’s not to love about this cocktail…truly the best of both worlds! From there, we continued to walk around the city stopping at The Beacon Tavern for a quick appetizer. We shared the Peekytoe Crab dip and it was delish, sorry no pics I was too hungry to bother with that. 😉 After much deliberation, we ended the evening at The Frontera Grill. The margs and tacos were on point! After spending one day in the Windy City, my hair was a total wreck. Not in the mood to do my own hair, #iaintgottimeforthatonvacation, I made an appointment to have my hair blown out at the Dry Bar. I seriously wish I could do this everyday, it is such a treat to have someone else do your hair! #amiright As far as I know, there are not any blowout bars in Minnesota. When I saw Jared after my appointment I was telling him I need to open a blowdry bar, stat!! Anyone else love getting their hair blown out and do it regularly? We had bought tickets to the Chicago Architectural Foundation’s boat tour for later that morning, on the way to the pier we stopped at the Rosebud on Rush for a quick bite. I got the crab cakes eggs benedict and it was divine. I wish I knew how to make a good eggs benedict, I actually have never tried! If you have any recipes or tips, comment below!! There are a lot of different companies that offer the architectural boat tour but we were told that the one through the Architectural Foundation is of the highest quality and can’t be beat. Apparently, this is one of the best tours to take while in Chicago. We really lucked out this past weekend with fantastic weather. We took the morning architectural tour and it was beautiful to go up and down the river learning about the history of the city! After we finished the boat tour, we checked out Navy Pier and shopped along Michigan Aveunue. I would totally recommend visiting this city as a couple, with friends or taking your family. If we were to When we go back with the kids, I’d take them to the Skydeck, Navy Pier, Lincoln Park Zoo, The Shedd Aquarium and to one of the many parks in the area. There is SO MUCH to see and do, I can’t wait to go back. Here’s a pic of the Smores’ cupcake at Molly’s cupcakes, one of the pit stops we made as we walked around the city. On our way out of the city, we stopped by my friend Kristen’s house for dinner. We loved spending time with her little family before heading back to ours! Getting ready to head out of town with the kids was a little a lot hectic and returning to suitcases full of dirty laundry and a van that looked like a tornado had gone through it were not the highlights of the trip but having some time away with the hubs makes it so worth it! Comment below if you have recommendations for a quick weekend getaway! 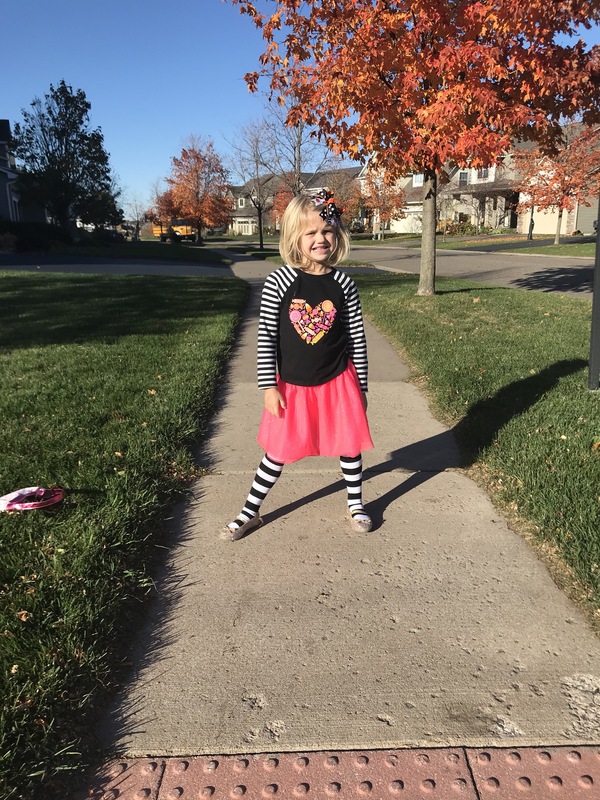 I’ll see you back here Wednesday for my “What’s Up Wednesday” link-up with A Little Bit of Everything and Mix and Match Mama. 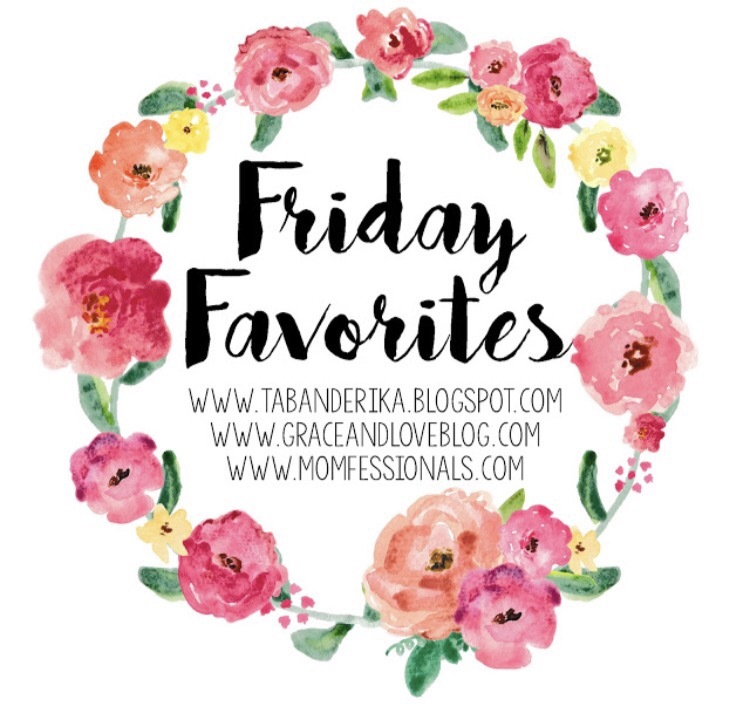 This Friday I’m linking up with A Little Bit of Everything, Momfessionals and Grace and Love to tell you about my Friday Favorites! 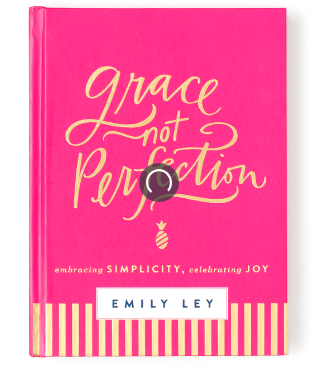 I’m still reading “Grace not Perfection” by Emily Ley and love the design esthetic of her book so I decided to look more into her simplified planners. I’m running out of months in my current Erin Condren planner, which I love, but I want to try something new. I ordered the weekly planner instead of the daily because I typically don’t use all of the space a daily planner has. I choose the gold pineapple design but there were two others to choose from. They were sold out on Emily’s sight so I googled her planner and found that they are also sold on a website called Swoozies.com…I think I could get myself into trouble here because they’ve got a lot of random things that I could convince myself that I need. 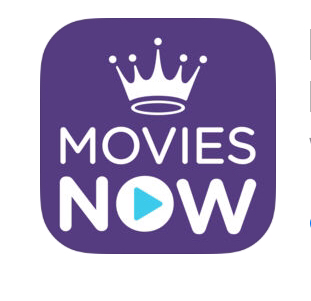 You should definitely check it out and thank me later! We’ve had an amazing week of fabulous weather here in Minnesota! 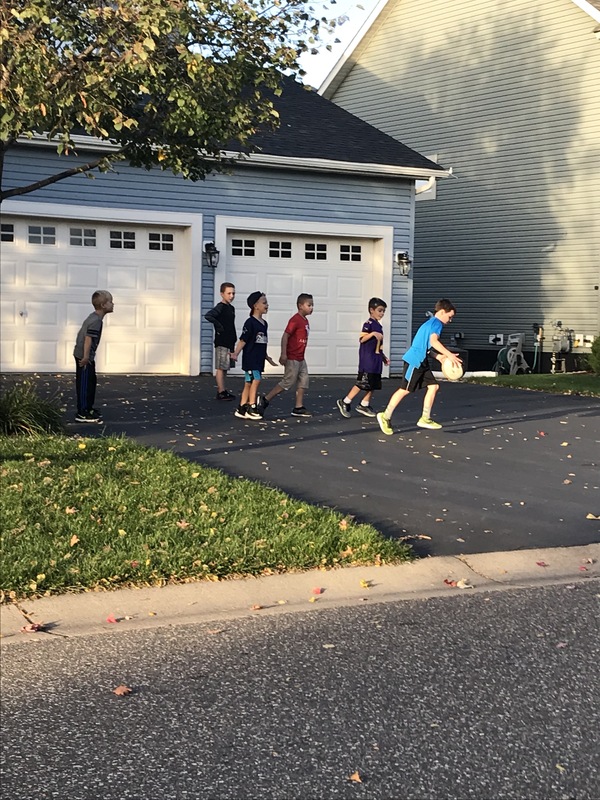 The kids have enjoyed a lot of outdoor play after school and I’m all too happy for them to get their energy out OUTDOORS! Parker had some buddies over after school on Friday and let me tell you, I was totally outnumbered! Ha! Jared and I are headed to Chicago this weekend for a little getaway and I packed one of my favorite pairs of shoes. 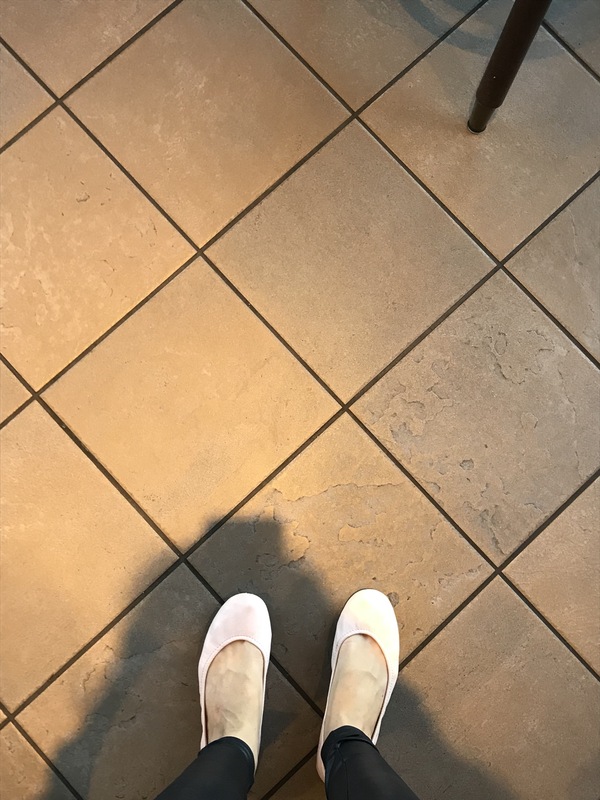 Have you ever tried Tieks?! They’re a ballet flat but not JUST any ballet flat…they are the most comfortable pair of flats you will EVER wear. They come in a zillion different patters and colors too. I was gifted my first pair by one of my best friends who, lucky for me, also has amazing style! I have the ballet slipper pink ones and I’ve found them to be super versatile. I think next on my wish list would be a pair of black ones. 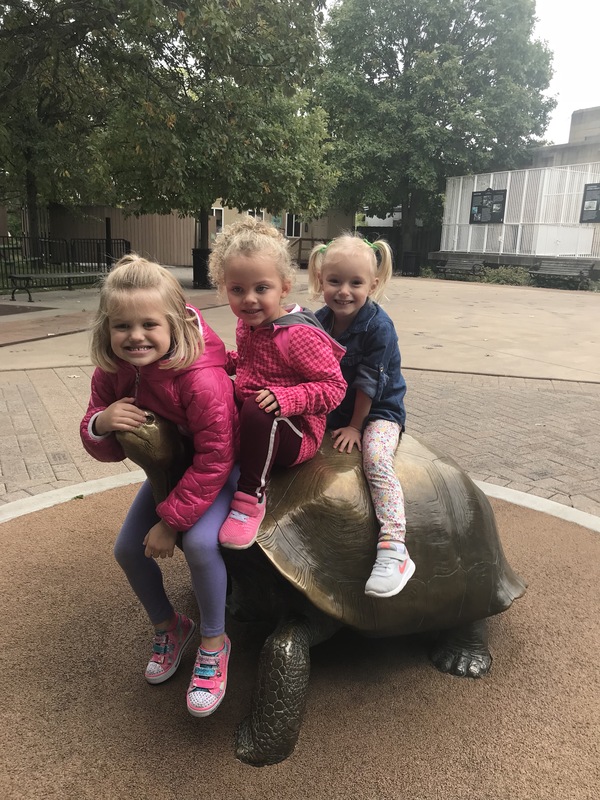 A couple of weeks ago I went on a field trip with Laney’s school to the Zoo. I love joining the kids on field trips and spending time with them at school. Although, I will say let’s give a shoutout to the teachers again (#stilldontknowhowtheydoit)…those kids were everywhere at the zoo! Laney didn’t want her pic taken so I don’t have many! That’s a wrap for Favorites this Friday, thanks for visiting!